Leasys UK, the contract hire company of FCA Bank, has announced the appointment of a new operations manager and sales and marketing manager. Alessandro De Santis takes on the former role and brings 16 years of experience in Leasys HQ, most recently as network manager. He will be responsible for improving processes and services, supported by the newly appointed operations specialist Michela Bartoletti. 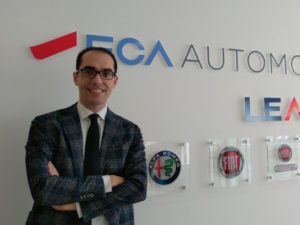 Giovanni Buscemi becomes sales and marketing manager and will be responsible for the contract hire sales and marketing team. 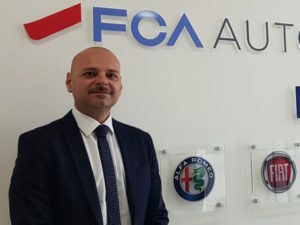 Buscemi joined FCA Automotive Services in January 2016 and brings 17 years of experience in both the leasing and manufacturer industry, holding positions in fleet business development and account management in Italy and the UK. The appointments come after Leasys UK published its latest financial statement in Marc showing that turnover increased by 34% last year, and its fleet size at the end of 2017 stook at 11,358 – up 33% on 2016. The company has said it has ambitious plans to continue that growth too, and has forecast a fleet size of 20,000 vehicles by 2020.